Bankers will look at the balance sheet to determine the amount of a company's working capital, which is the amount of current assets minus the amount of current liabilities. 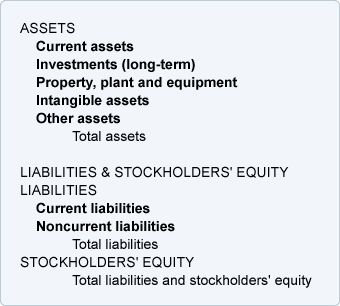 They will also review the assets and the liabilities and compare these amounts to the amount of stockholders' equity. When a balance sheet reports at least one additional column of amounts from an earlier balance sheet date, it is referred to as a comparative balance sheet. The following are brief descriptions of the classifications usually found on a company's balance sheet. Generally, current assets include cash and other assets that are expected to turn to cash within one year of the date of the balance sheet. Examples of current assets are cash and cash equivalents, short-term investments, accounts receivable, inventory and prepaid expenses. This classification is the first of the noncurrent or long-term assets. Included are long-term investments in other companies, the cash surrender value of life insurance, bond sinking funds, real estate held for sale, and cash that is restricted for construction of plant and equipment. This category of noncurrent assets includes the cost of land, buildings, machinery, equipment, furniture, fixtures, and vehicles used in the operations of a business. Except for land, these assets will be depreciated over their useful lives. Intangible assets include goodwill, trademarks, patents, copyrights and other non-physical assets that were acquired at a cost. The amount reported is their cost to acquire minus any amortization or write-down due to impairment. Valuable trademarks and logos that were developed by a company through years of advertising are not reported because they were not purchased from another person or company. This category often includes costs that have been paid but are being expensed over a period greater than one year. Examples include bond issue costs and certain deferred income taxes. Current liabilities are obligations of a company that are payable within one year of the date of the balance sheet (and will require the use of a current asset or will be replaced with another current liability). Current liabilities include loans payable that will be due within one year of the balance sheet date, the current portion of long-term debt, accounts payable, income taxes payable and liabilities for accrued expenses. These are also referred to as long-term liabilities. In other words, these obligations will not be due within one year of the balance sheet date. Examples include portions of automobile loans, portions of mortgage loans, bonds payable, and deferred income taxes. 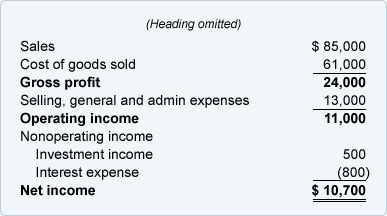 The income statement is also known as the statement of operations, the profit and loss statement, or P&L. It presents a company's revenues, expenses, gains, losses and net income for a specified period of time such as a year, quarter, month, 13 weeks, etc. 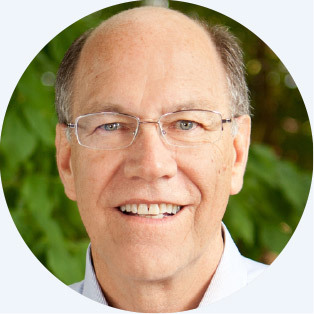 The difference in formats has to do with the number of subtractions and subtotals that appear on the income statement before getting to the company's bottom line net income. The first subtraction results in the subtotal gross profit. The second subtraction results in the subtotal operating income. The third subtraction provides the bottom line net income. As we had discussed earlier, revenues cause stockholders' equity to increase while expenses cause stockholders' equity to decrease. Therefore, a positive net income reported on the income statement (which is the result of revenues being greater than expenses) will cause stockholders' equity to increase. A negative net income will cause stockholders' equity to decrease. 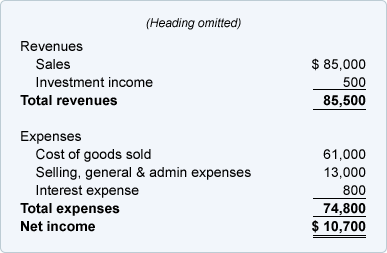 The link between the balance sheet and income statement is helpful for bookkeepers and accountants who want some assurance that the amount of net income appearing on the income statement is correct. 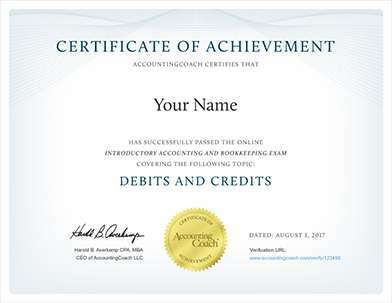 If you verify the ending balances in the relatively few balance sheet accounts, you can have confidence that the income statement has the proper net income. Hence, you are wise to establish a routine to verify all of the balance sheet amounts. Note: This technique does not guarantee that the details within the income statement are perfect. Here is our suggestion for reviewing the balance sheet amounts. Another review that should be done routinely is to compare each item on the income statement to the same item on an earlier income statement. For example, the amounts for the 5-month period of the current year should be compared to the 5-month period of the previous year. If budgets are prepared, also compare this year's 5-month period to the budgeted amounts for the 5-month period. The same holds for the balance sheet: compare the recent amounts to the amounts on the balance sheets from a year earlier and from a month earlier.